Biography: Paige started the beauty retailer, Odette at the young age of 24. After graduating with a Marketing degree from Nottingham Trent University, she secured a marketing job in the football and stadium sector. From this Marketing background, Paige realised there was a gap in the market for a retailer specialising in Natural Based, Cruelty Free products and a salon with a more natural ethos, avoiding invasive procedures such as Botox, Fillers or Chemical Peels. She felt that women needed to be able to go somewhere for a relaxing and enjoyable experience and feel calm and pampered without the pressure of the “perfect” beauty look but still achieving ongoing results with their skin and body. Almost three years on, Odette has become a fully fledged Beauty Boutique which offers treatments as well as products. Odette first opened in October 2015 and the salon in November 2016 with one beautician and one treatment room. The popularity of the concept has grown rapidly with regular approaches from new and innovative product ranges. Odette now boasts two luxurious rooms with two masterful beauticians. 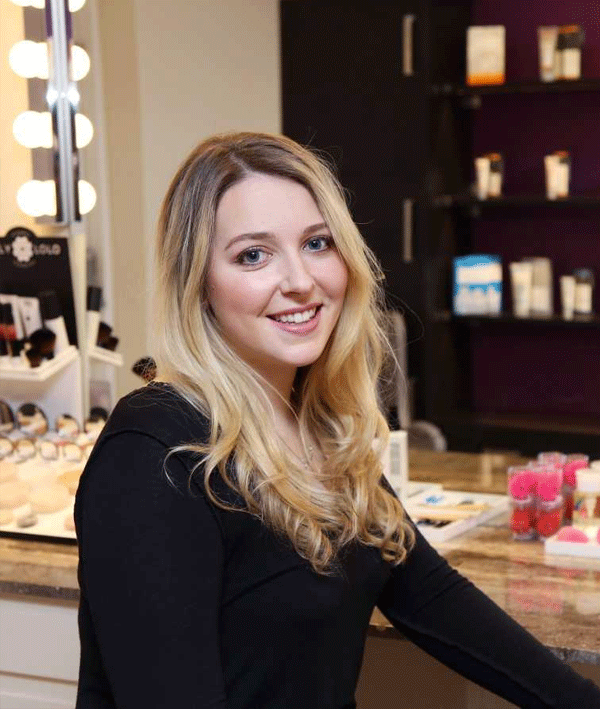 Paige, at 27, is a young Entrepreneur who values her customer base and keeps up with the latest in natural products and techniques. Odette Beauty is one of the Top Rated Salons 2017 by Treatwell.